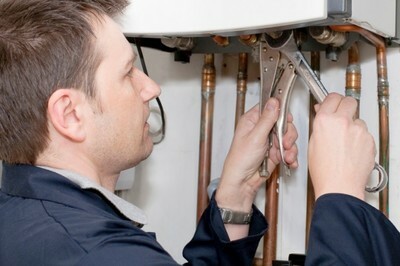 Searching for an Arlington Heights Boiler Technician? At ID Mechanical Inc, we’ve been keeping Arlington Heights boilers running since 2012. No need to suffer through a cold winter in night with a broken boiler in Arlington Heights Illinois! We are available for all your emergency Arlington Heights boiler needs. Call the quick, professional boiler repair experts at ID Mechanical Inc! If your Arlington Heights boiler is not fitted with properly installed and regularly tested back-flow assemblies, it may not meet city code. A back-flow assembly prevents water from contaminating the public water system in Arlington Heights. The boiler repair experts at ID Mechanical Inc can ensure that your boiler heats your building safely and efficiently while meeting all Arlington Heights boiler regulations. At ID Mechanical Inc, we’ve made it our mission to make every boiler in Arlington Heights run as efficiently and cost-effectively as possible. Ask about installing efficiency controls on your boiler so it adjusts to both outdoor and indoor temperatures, so that it heats your Arlington Heights building better while keeping your bills down. Take advantage of our fast, professional boiler repair service in Arlington Heights as well as our years of experience serving the community. Call (847) 250-2737 to talk to an Arlington Heights IL boiler technician today!